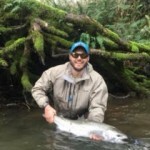 Jared French is a US Army Special Forces Green Beret veteran with five combat tours and is currently working for an applied analytics company based in the Washington D.C. area. Jared completed his undergraduate degree at Norwich University with a B.S. in Strategic Studies and Defense Analysis. In 2015 he graduated from American University’s School of International Service with an M.A. in International Service. More recently, Jared has been accepted into the prestigious Executive MBA program at Georgetown University McDonough School of Business (class of 2018). Jared is passionate about educating veterans on the power of graduate and post-graduate studies, moreover aiding veterans in the transition process from service to school.